At the 2016 Geneva Motor Show, SsangYong introduced the mid-sized SUV SsangYong SIV-2 Concept 2016. Featuring the mild hybrid technology, company claims the model to be future of automotive industry. 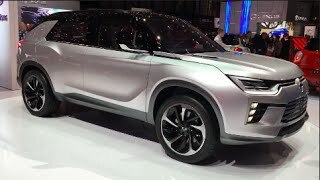 Let us have a look at the review of SsangYong SIV-2 Concept 2016 to know in detail about it. The interior of SsangYong SIV-2 Concept 2016 is elegantly dynamic. Entering inside you can notice the elegant lines running from doors and surrounding the centre fascia while the use of high end materials all through the floor, headlining and dash brings the touch of leisure. The passenger friendly interior features a bilateral instrument panel while the bucket seats add to the dynamic accent. Inside you’ll find latest tech features loaded, however amidst them the most noticeable is the new music system that gets complemented by the shimmering lights that dazzle with the beats. The later are mounted over the door panels and over side consoles. Thus rounding up the interior details of SsangYong SIV-2 Concept 2016 I’ll call it elegant, dynamic, elegant and luxurious. The exterior of SsangYong SIV-2 Concept 2016 has everything that complements the interior design. Starting with the front fascia we have the wide radiator grille extending broad enough to include headlights. The lower bumper gets a decent look with a simple air duct and set of fog lamps on either corner. Moving towards the rear end you’ll notice bold lines making their way from the front to the rear end while the floating roof line by a glasshouse style molding that adds some sporty looks to the car. At the back, things get more dynamic, with the bumper featuring some robust design traits through the character lines while the deck lid gets some additional creases joining the pair of taillights. 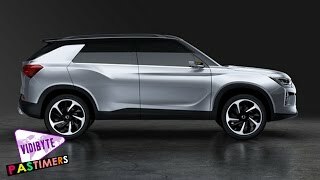 Thus rounding up the exterior details of SsangYong SIV-2 Concept 2016 we can call it a model with superior and sportive looks. 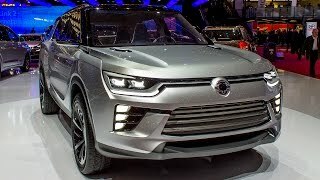 As we mentioned earlier that beneath the hood of SsangYong SIV-2 Concept 2016 is mild hybrid technology, thus the power comes through a 1.5 liter diesel engine and a 13 hp electric motor, which is connected to 500Wh lithium ion battery. 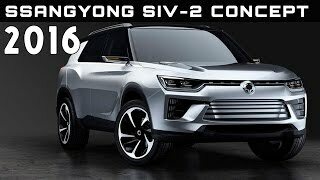 The performance figures of SsangYong SIV-2 Concept 2016 are still not shared, however we expect to have them in near future.